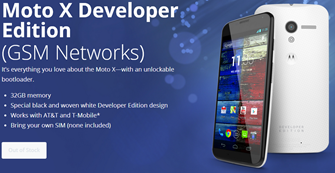 The DROID MAXX is Verizon only, but does have an unlockable bootloader and a cool "Developer Edition" badge. The Moto X developer handsets come in either GSM or Verizon flavors, but only the Verizon version is currently in stock. Now that the page is live, the GMS device could pop up at any time. You're also looking at 32GB of storage in these devices, which makes the high price a little easier to swallow. 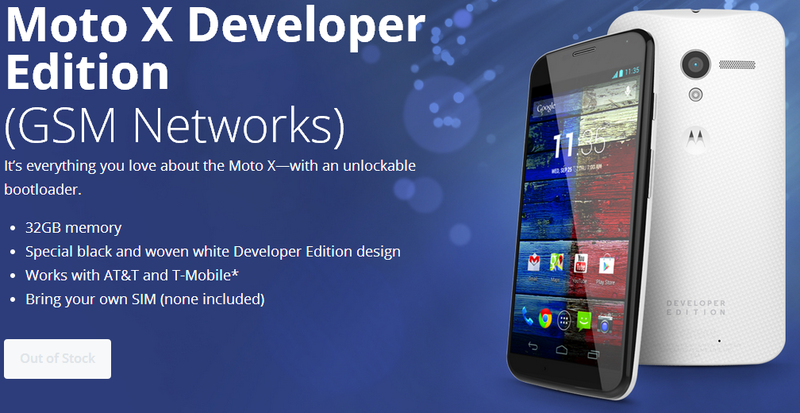 Well, you also get the words "Developer Edition" emblazoned on them just like the DROID MAXX. They are only available in two-tone black and white. Also, note both Verizon-compatible phones have actual Verizon logos. 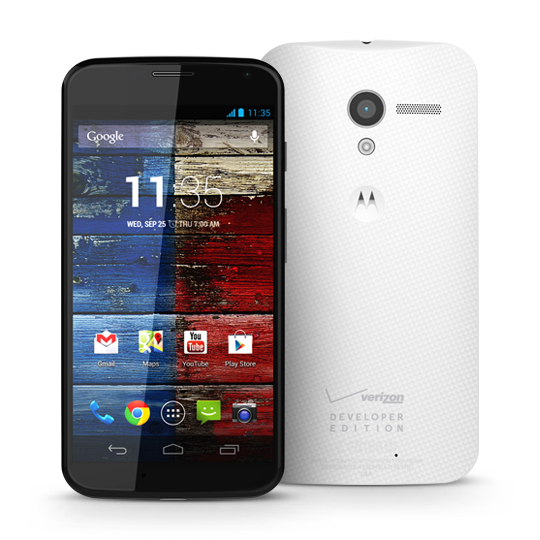 The Verizon phones are probably going to be more in-demand than the GSM Moto X. 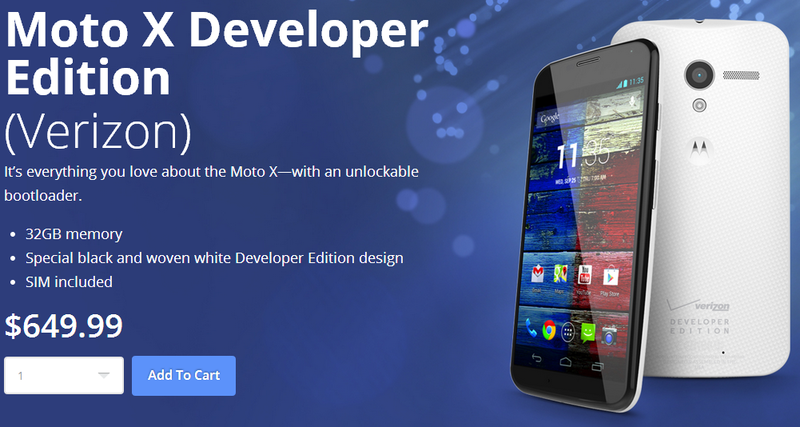 While it works on both AT&T and T-Mobile, a Google Play version of the Moto X is supposed to come at some point. That could be a more compelling option than the Developer Edition.